Amalgamation may be 1 of 4 bands: 1. 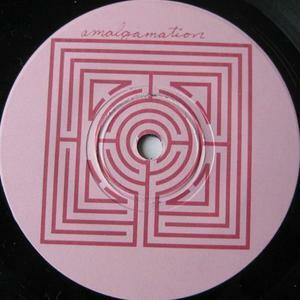 Amalgamation is an experimental, ambient, drone band from Kansas, the solo project of Joshua McMullen. It was formed in 2009 as a means to explore the essence of sound. Several self-released albums were put out before a more ambient style was chosen, leading to the creation of the 2010 demo, which was only sent to labels as a means of promotion. The band was recently contacted by Barren Meadows Records, home of such artists as Cephalophore, they are currently working on a contract. 1. Amalgamation is an experimental, ambient, drone band from Kansas, the solo project of Joshua McMullen. It was formed in 2009 as a means to explore the essence of sound. Several self-released albums were put out before a more ambient style was chosen, leading to the creation of the 2010 demo, which was only sent to labels as a means of promotion. The band was recently contacted by Barren Meadows Records, home of such artists as Cephalophore, they are currently working on a contract. The band is currently working on a full length album, Qi, to be released in the summer of 2010. 2. Amalgamation was a screamo band from the DC/VA area, active from 1996 to 1998. They released a demo cassette, a split 12" with Left In Ruins, a split 7" with Jeromes Dream and appeared on three comps, A Chicago Food Not Bombs Benefit CD on Defeated Records, The Caligula Effect CD on Catechism and No Fate Vol IV on HG Fact. After Amalgamation's demise, Matt and Jacob went on to do a project called The Last Seconds Of.... When they broke up Matt joined The Rapture and Jacob started Black Eyes. 3. Noise/Ambient/Experimental/Industrial project from Scranton PA. Amalgamation is currently unsigned to any major label. Burned copies of Amalgamation's material can be obtained through the 'By BroodMyme Prod.' label. 4. Amalgamation is a jazz fusion band from MS.